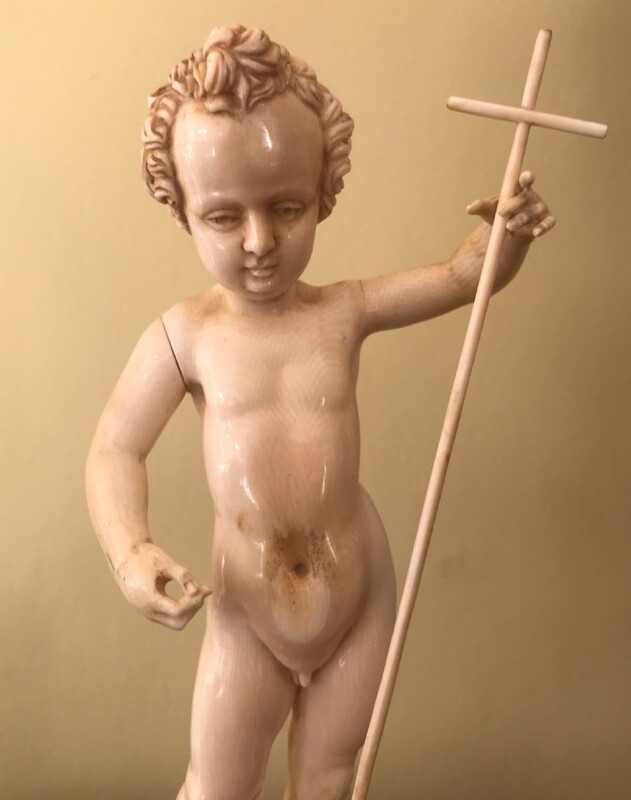 A fine quality early 18th century carved ivory putto. 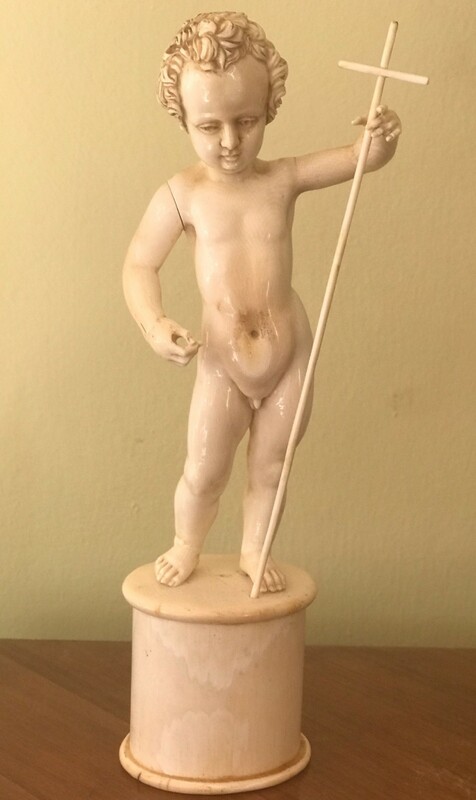 Depicted naked standing on an oval pedestal holding a staff with crucifix. 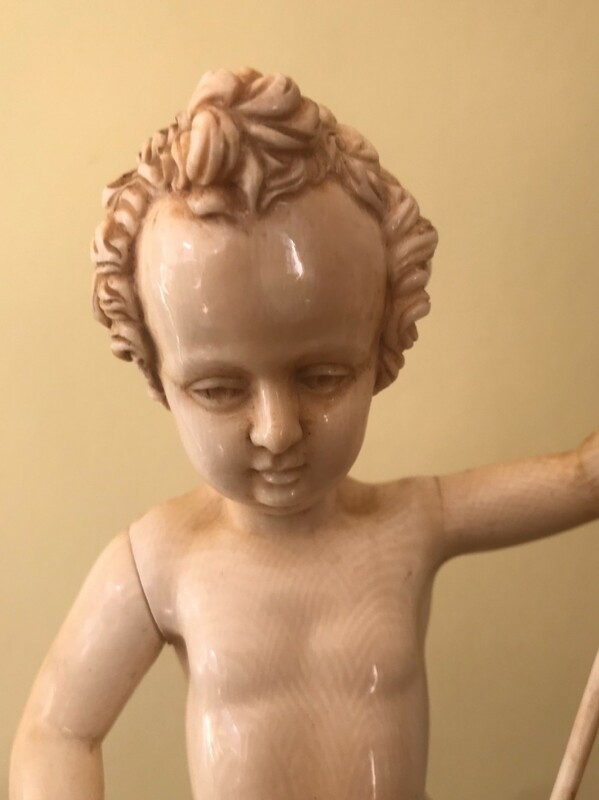 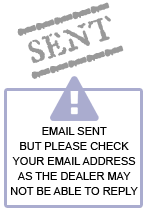 The An 18th century carved ivory putto has been added to your saved items.